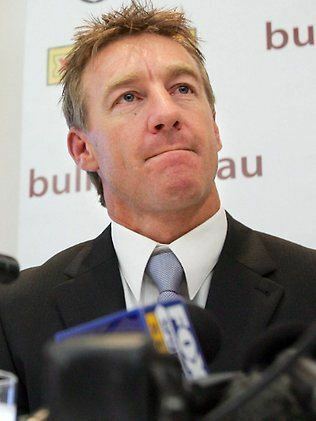 Andy Bichel (born 27 August 1970) is a retired Australian cricket player and is the bowling coach of the Chennai Super Kings for the Indian Premier League. Primarily a seam bowler, his style is right arm medium fast. Batting right-handed, Bichel was not averse to some hard-hitting in the lower order. Representing Queensland in the Australian domestic competitions, Bichel has earned a reputation as a hard worker, capable of bowling many overs into a strong wind. Bichel made his Test debut for the Australian Cricket Team in Adelaide in 1996 in a match against the West Indies, and his One-day International Debut in Brisbane, also against the West Indies. As well as Queenslands state team, he has played for the English Counties Essex, Hampshire and Worcestershire. Unfortunately, his rise to prominence coincided with the appearance of a young Brett Lee, with whom he was often in a battle for a third fast-bowler spot in the lineup behind Glenn McGrath and Jason Gillespie holding the other two positions. As the younger and pacier Lee was often selected ahead of him, Bichel now holds the test match record of being Twelfth Man for Australia on 19 occasions. He has recently made comments that he believes his bowling suffered during these times, as he missed out on the valuable match practice that he could have earned either playing for Australia or Queensland. A highlight of Bichels career was Australias 2003 World Cup campaign. He was initially back up to Jason Gillespie, Brett Lee and Glenn McGrath. He played his first game against Netherlands making a good impression with the ball and after injury had ended Gillespies World Cup campaign he took over his position in the side. Bichel retrieved Australia from serious trouble on more than one occasion, most notably his 7-20 against England, then he went on with Michael Bevan to score an unbeaten 73-run 9th wicket partnership to ease Australia to victory which saw him hit 34 not out. In the Super Six stage, he came in against New Zealand at 84-7. He and Michael Bevan again saved Australia with his highest score of 64 as Australia put up a winning total batting first. In the semi-final against Sri Lanka, he bowled tightly conceding 0-18 in 10 overs but his pressure caused the spectacular run out of Aravinda de Silva as he picked up spun around and threw down the stumps to prevent a tight single off his own bowling. In the final against India, he picked up one wicket bowling Rahul Dravid as Australia won, completing an undefeated campaign. At the start of the 2004–05 Australian summer, Bichel was not offered a contract by the Australian Cricket Board, an indication that the Board did not believe he would represent Australia in that season. His performances in the domestic competition, however, continued to be at the same high standards as before and it was clear that he wanted to make another return to the international scene. Bichels performances at State level during the 2004–05 domestic season earned him the Domestic Player of the Year award at the 2005 Australian cricket awards. Bichels absence from the international arena had earned him cult status with some fans in Australia. Fans often come to games with banners calling for Bichel to be brought back into the Australian team, and a Bring Back Bichel campaign has also occurred.